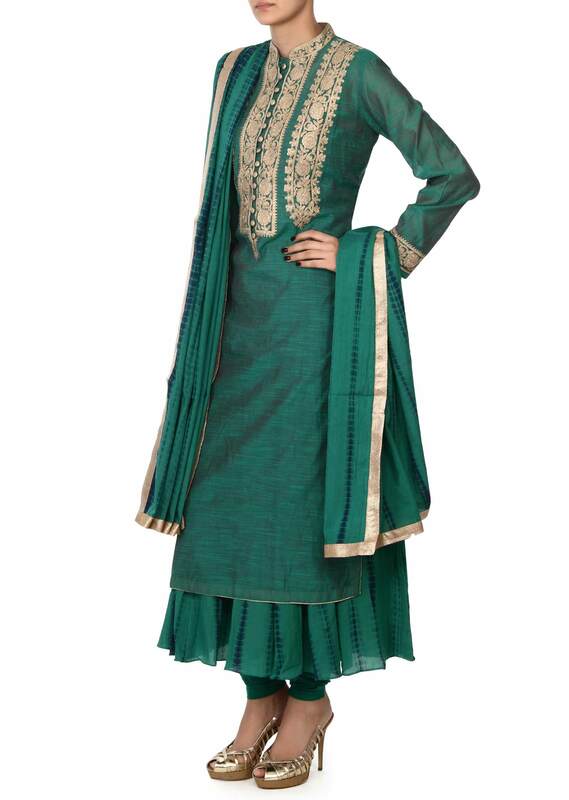 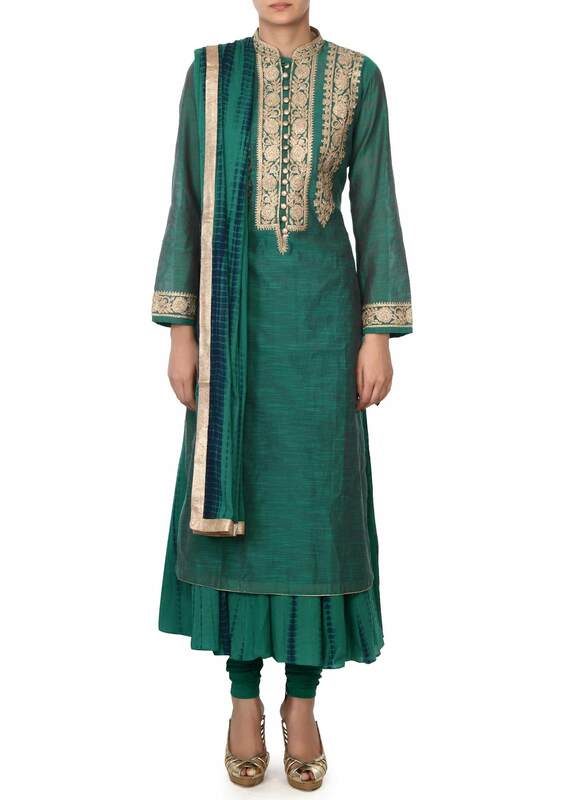 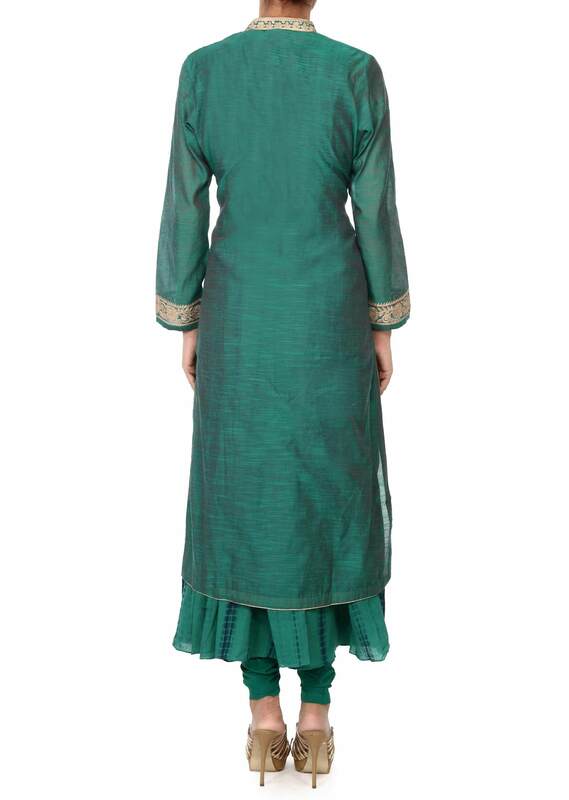 Dark green straight suit featuring in silk. 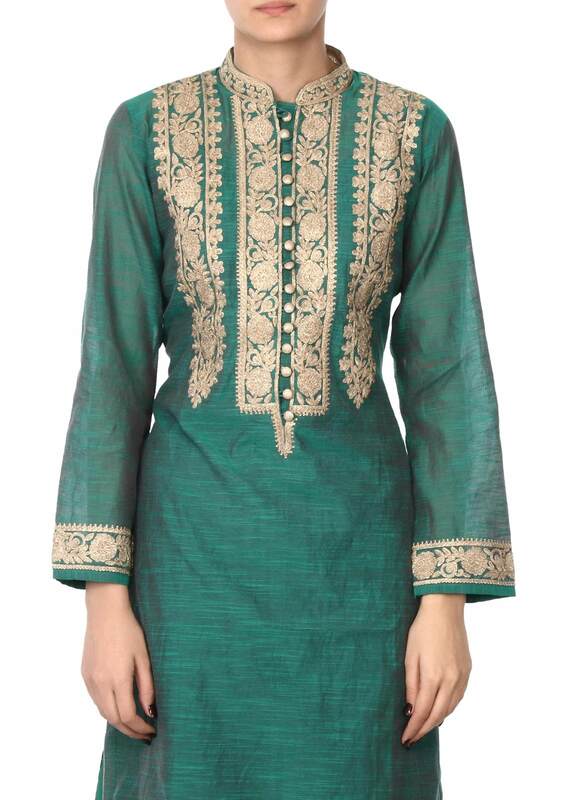 with batik print under layer. Its enhanced in with zari embroidery. 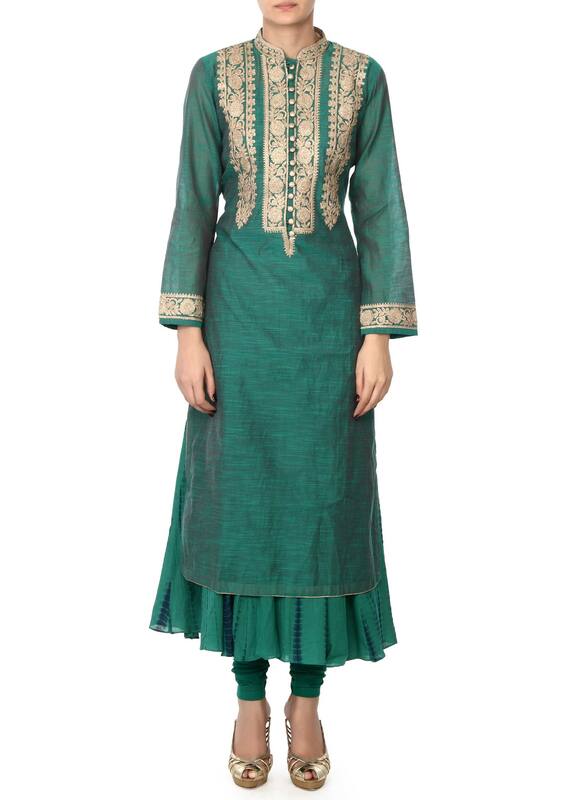 Mthced with lycra churidar and printed dupatta.